Jonathan Duhamel is starting his 2011 Main Event exactly where his 2010 Main Event ended, at the feature table. The 2010 Main Event Champion begins his title defense today on Day 1C. 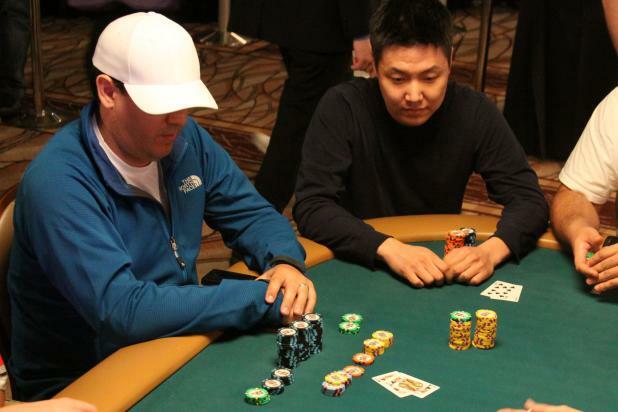 2001 WSOP Main Event Champion Carlos Mortensen doubled up on one of the last hands during play on Day 1B. His pocket kings held up against his opponent's A-10 to put him at 105,025 to end the day.